Homework in primary schools is , and has always been, a contentious subject. In two of our recent parent surveys it is a topic which divides opinion … Some want more other less , if any at all, for young children. 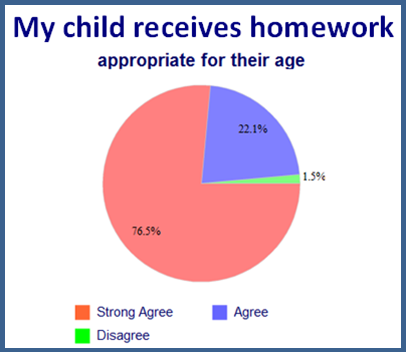 Whilst it is not a statutory requirement there is no doubt that children who are supported with homework are more likely to do better at school , but how school and home work together is open to debate. During the course of this year we have given a great deal of thought as to how we maximise these opportunities to achieve the best outcomes for our children. We are aware that not all children want to complete homework and this can present with challenges. 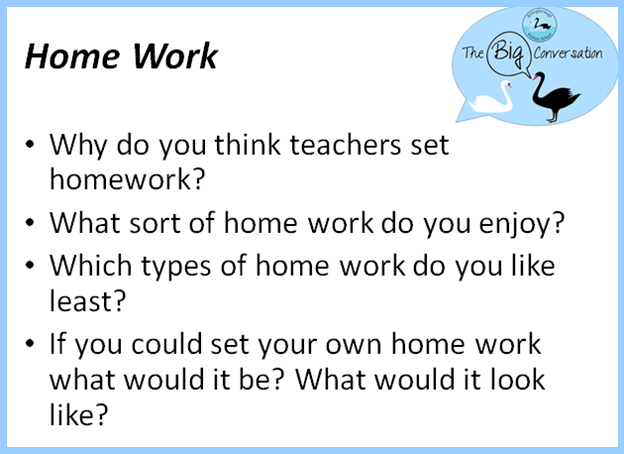 Homework at the weekend, when families have other commitments, can be tricky; homework on a weeknight when everyone’s tired, and parents work, can seem a battle. Weekly homework will remain but in the reduced form of key skills work and practice. In English this will focus on spelling and grammar , in maths number facts, bonds and times tables. This is given out on a Friday to be returned by the following Wednesday. All children are expected to read everyday and note this in their record or planner. In addition to weekly skills a termly map will be given for each class with a “menu” of homework opportunities linked to children’s topic and year group objectives. It will include opportunities for learning in English, maths, history or geography, art, design and active challenges—all of which mirror the ideas the children gave us. Class teachers will suggest minimum expectations as to the number of opportunities they expect children to complete over the term, for example: one English, one maths and one other. Many children may wish to complete them all! It is then up to families when the learning takes place it can be spread over time to fit around commitments. We hope this approach will support busy family life while giving lots of ideas for a range of supportive activities that you can complete with your children . Work can be handed in as it is finished, opportunities for show and tell and class displays will be made throughout the term. At the end of the trial we would welcome your feedback.